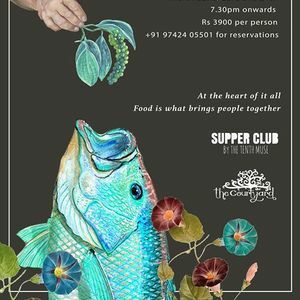 Our first international culinary collaboration is round the corner, with 23Aubergine coming to Bangalore for a three-night feast of Malaysian cuisine! 23Aubergine is a fresh and creative event-catering unit based in Kuala Lumpur, Malaysia, which prides itself in taking an imaginative, friendly and uniquely flexible approach to catering. Set up by Jessica and David Nathan in 2002, 23aubergine has swiftly grown to be recognised as an impressive event-catering company, one that loves nothing better than coming up with exciting contemporary menus and exquisite new dishes! 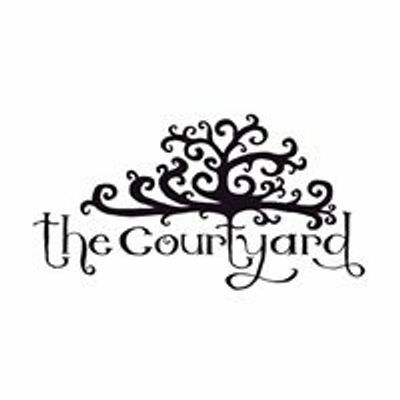 As part of The Courtyard Food Project, there will be two sit down dinners on March 23rd and 24th at The Courtyard. 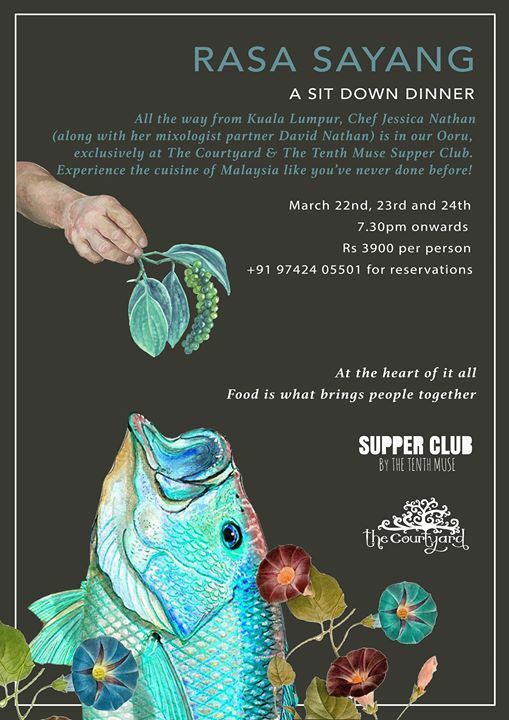 You can also attend their dinner at The Tenth Muse’s Supper Club on March 22nd in a more intimate setting. Limited seats available. For queries/bookings, write in to us at aW5mbyB8IHRoZWNvdXJ0eWFyY29tbXVuaXR5ICEgaW4= or call 9742405501 to reserve your spot directly.